Confession time: I absolutely LOVE cooking competition shows. Iron Chef, Next Food Network Star… [sigh, I miss cable] So when I was given the opportunity to participate in a crafty Iron Chef type Scribble Challenge, I was so super excited. I was sent a box of craft supplies from Scribble Shop and given the challenge of making something using all of them. 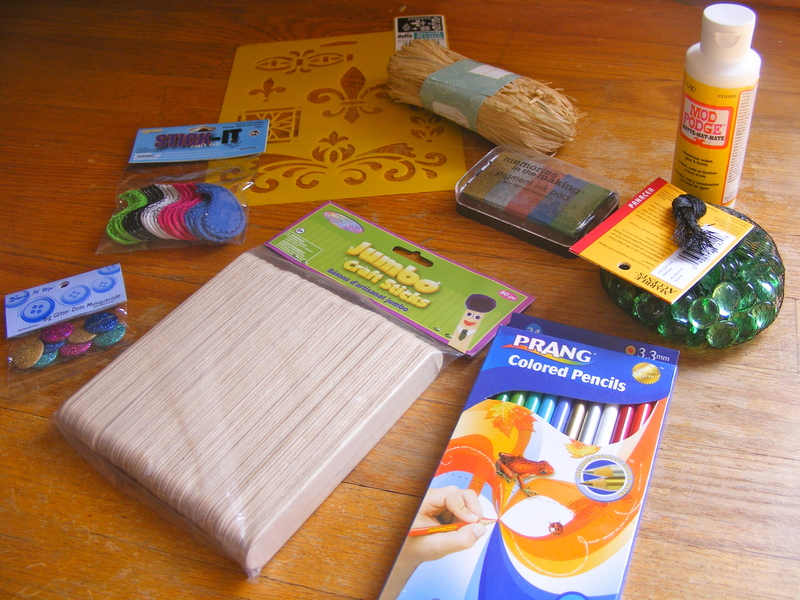 With these supplies, and a few of my own, I made an inspiration board to go above my sewing table. Instead of buying a cork board [because I am cheap! ], I stacked three pieces of cardboard together. I used the regular glue to stick those together. I stretched a piece of burlap around the cardboard and attached it with my stapler. Using the stamp pad and the stencil, I added a “painted” embellishment. I added some of the self-sticking paisley shapes to the other side and raffia around the whole thing with fabric glue. With the colored pencils, I colored one of the popsicle sticks. 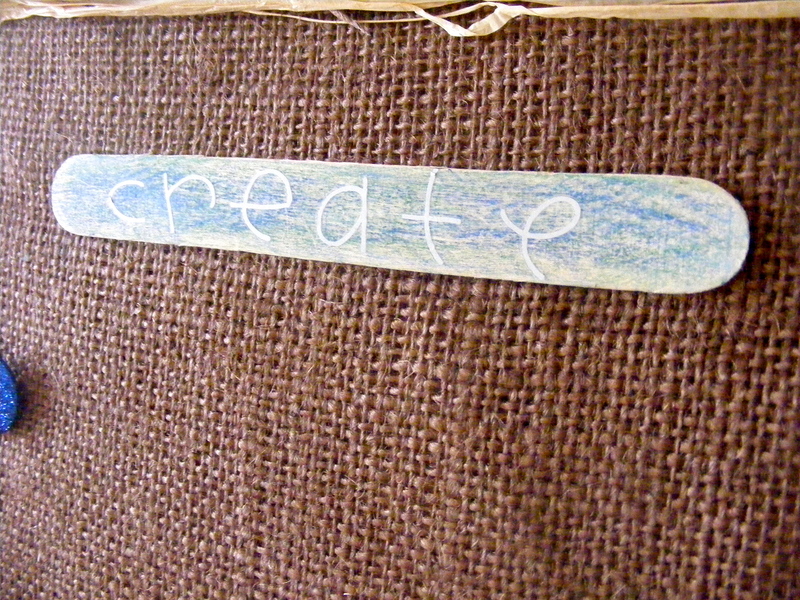 I used my rub-on letters to spell out the word “create.” I covered the popsicle stick with Mod Podge, to seal the letters onto the stick. I used my fabric glue [because I was too lazy to go fire up the glue gun…] to attach my thumb tacks to the glitter Dress It Up embellishments and the glass gems. 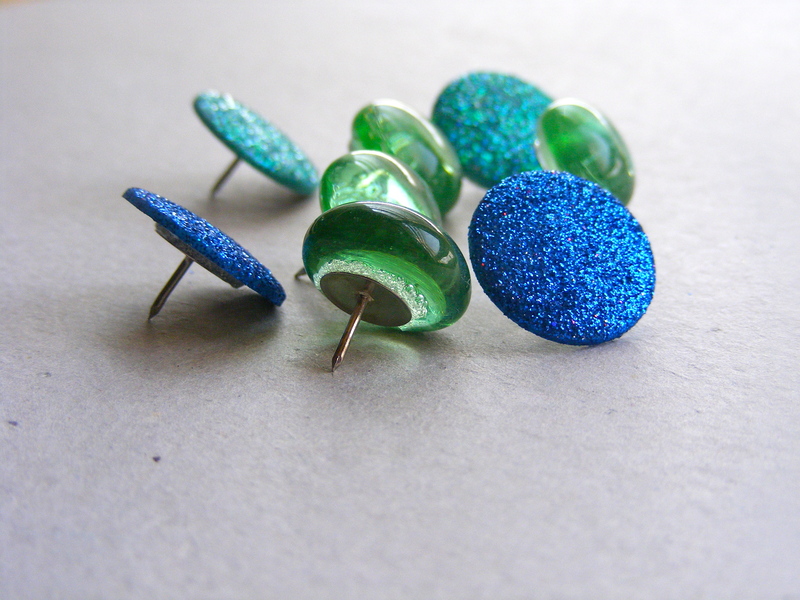 Is it okay to love thumb tacks? Because I totally do. Thumb tacks ready to be used! 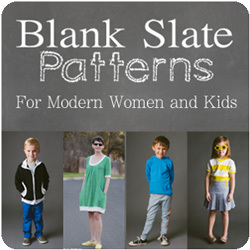 You can check out Scribble Shop on Facebook, Twitter, or Google Plus. 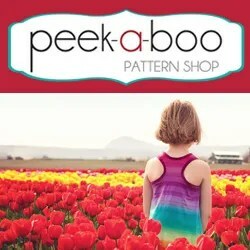 Plus, you can use the code FONLYNAP to receive 15% your craft supplies on Scribble Shop until April 30th. Disclosure: I was given this product for my participation in this challenge. Next postIt’s Not Health Food… It’s Just Food. SO fun!! I love the idea of saving money by using cardboard. Brilliant! Turned out so cute. Very nice! I love the idea of using the marble things and the brads as thumbtacks!!! My favorite part is the thumbtacks. There’s no way you can miss them and accidently step on them. The thumbtacks are beautiful! 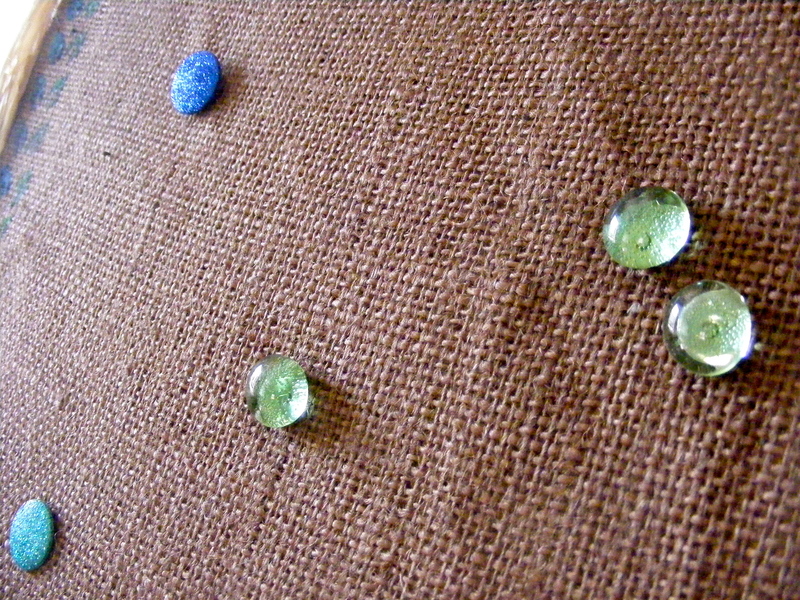 I love thumbtacks as well and can’t seem to stop buying funky ones as I see them although I do not own a cork board. 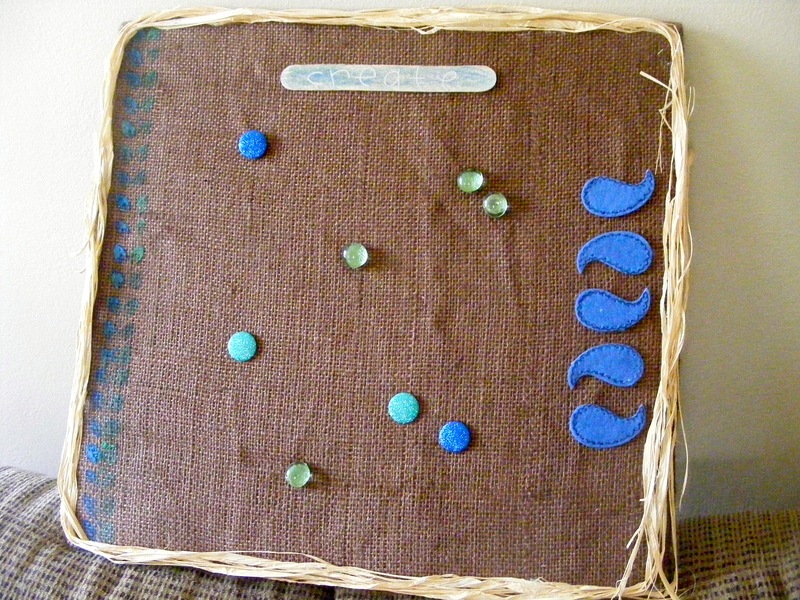 I love that you used cardboard as well….I may not have cork board but I have plenty of that!! Huzzah! Consider me inspired! 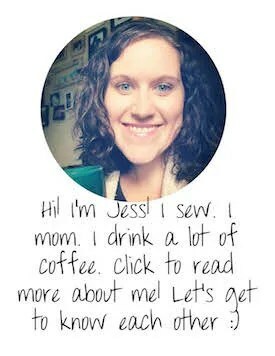 your project is lovely and showcases all of the scribble shop items beautifully :) Thanks for the inspiration! What a great idea! Love that you made push pins out of those! How does the cardboard hold up? Nice, cheap solution. I love that you “made it work” with what you had on hand. 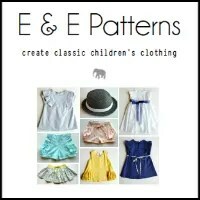 I love those little paisleys – nice use of them! Thanks, Heather! I used three layers of pretty hefty cardboard, so it’s holding up pretty well. It obviously wouldn’t last forever if you’re constantly putting the pins in and out. But it’s a good cheap solution. 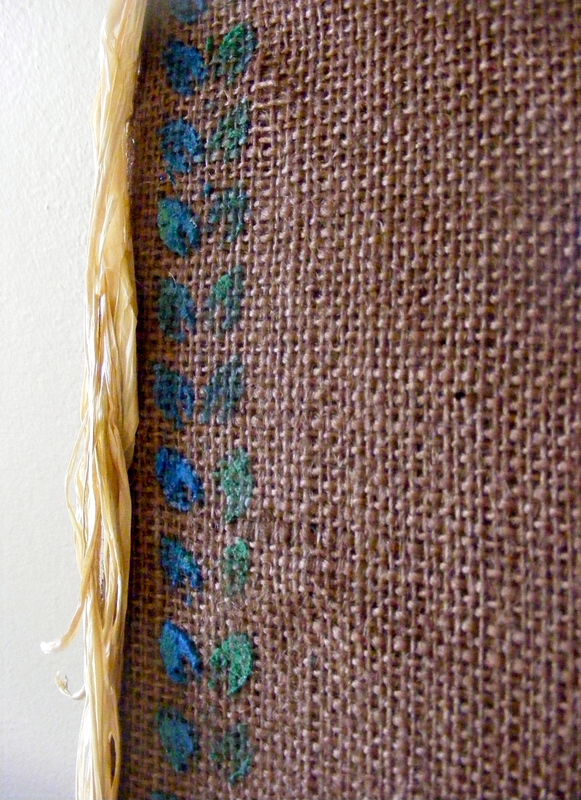 Plus, by stapling the burlap instead of gluing it, I can always replace the cardboard someday! Thank you for participating in the Scribble Shop Challenge. 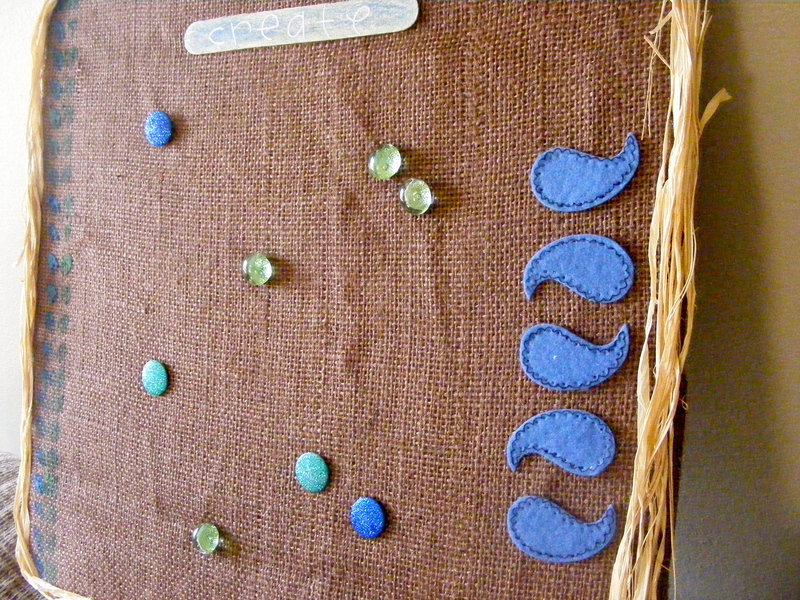 This is such a cute Cork Board, I really like how you used the gems to make thumbtacks, very original! 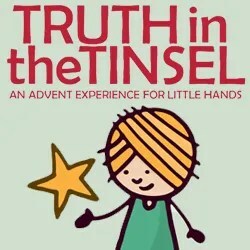 We are posting the finalist on our facebook page http://www.facebook.com/ScribbleShop tomorrow, March 30th, 2012.